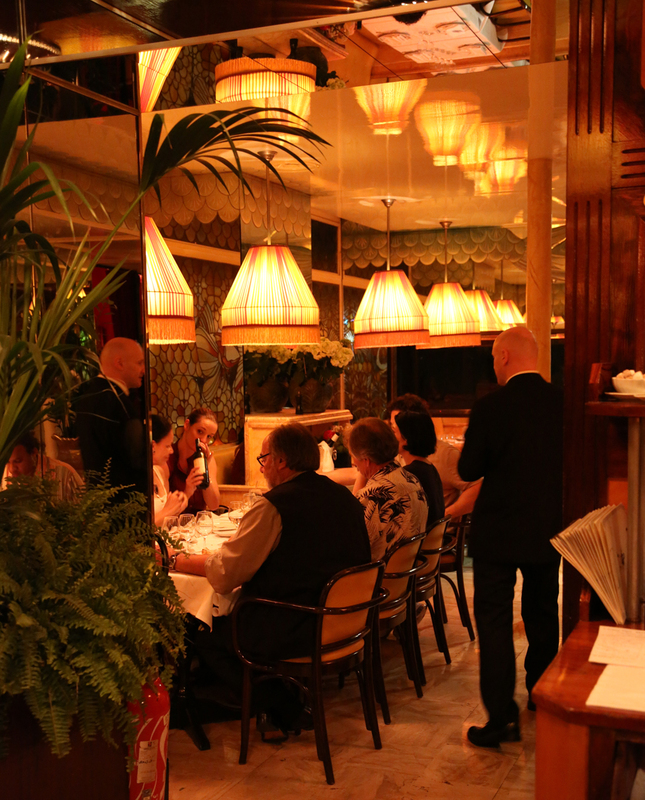 We topped off our Friday night in Paris with dinner at the historic Le Dome Café in the Montparnasse District. Montparnasse was THE place in which Parisian artists and intellectuals came together. Cafés of the district, like Le Dome and others, attracted a pretty impressive who’s who in the 1920s, including Vladimir Lenin, Scott Fitzgerald, Leon Trotsky, Ernest Hemingway, Henri Matisse, Toklas, Jean-Paul Sartre, T.S. Eliot, Josephine Baker, Gertrude Stein, and Roman Polanski. It still attracts a pretty impressive art community – since Victor Spahn’s studio is in the district, as is Yaacov Agam’s. 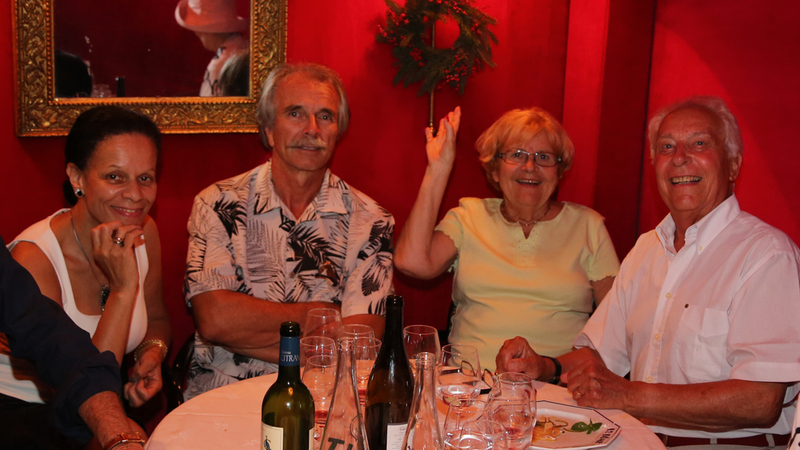 Our trip schedule was tight, and this small dinner party gave Marc and me a chance to visit time with our local Parisian artists. Because of the nature of our business and the fact that we travel on cruises and attend VIP events with many artist whose work we sell, our relationships become close and familial. When we say the Park West family of artists – we mean it. 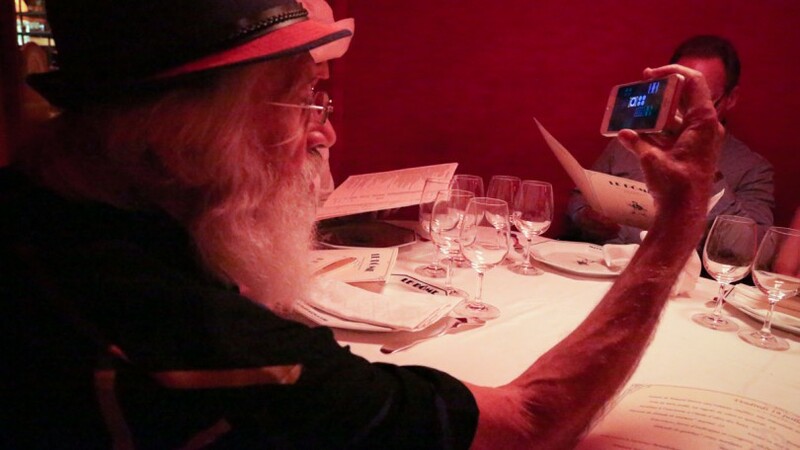 The artists at Le Dome were Jean-Claude Picot and Victor Spahn, Yaacov Agam, Linda LeKinff, Fanch Ledan and Rachel Robb, who traveled from London to attend. David Daniel, the current director of Les Heures Claires, as came as did spouses and guests of some of the artists. We were tucked into two quiet adjoining rooms near the back of the restaurant – thanks to some intervention from Yaacov Agam. Marc was in the room above. I was in this room, which is covered from floor to ceiling in red velvet. 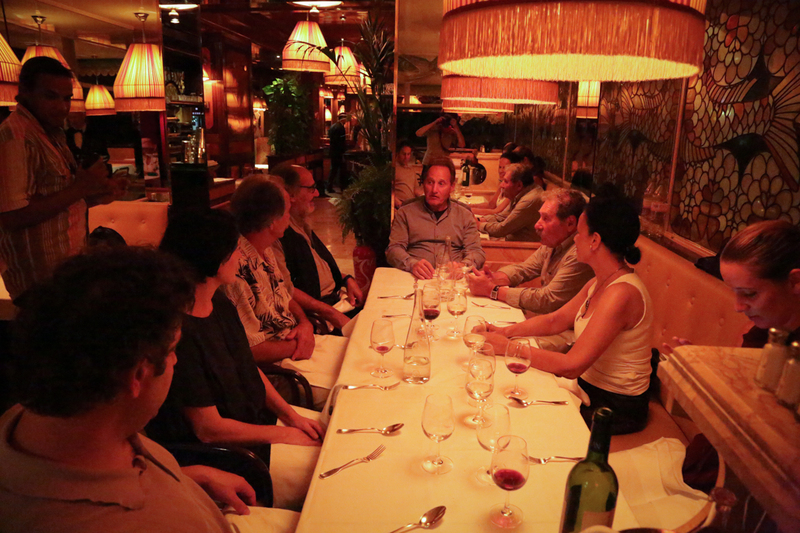 It was a nice opportunity to enjoy a traditional French meal and to relax and socialize after a busy day of travel and visits to Victor Spahn and Jean-Claude Picot’s studios. 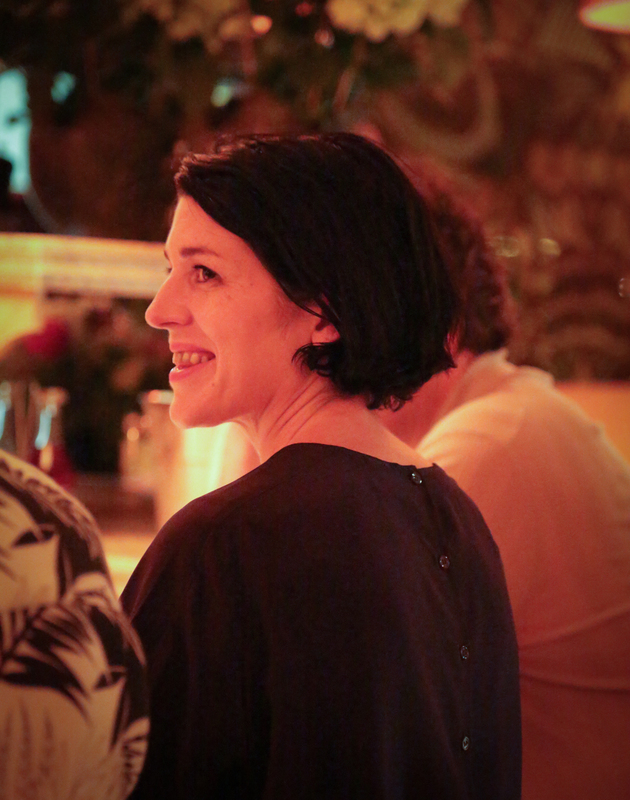 It was the first time I met Rachel Robb, who traveled to the party from London. Our long-time artists were very welcoming to her. 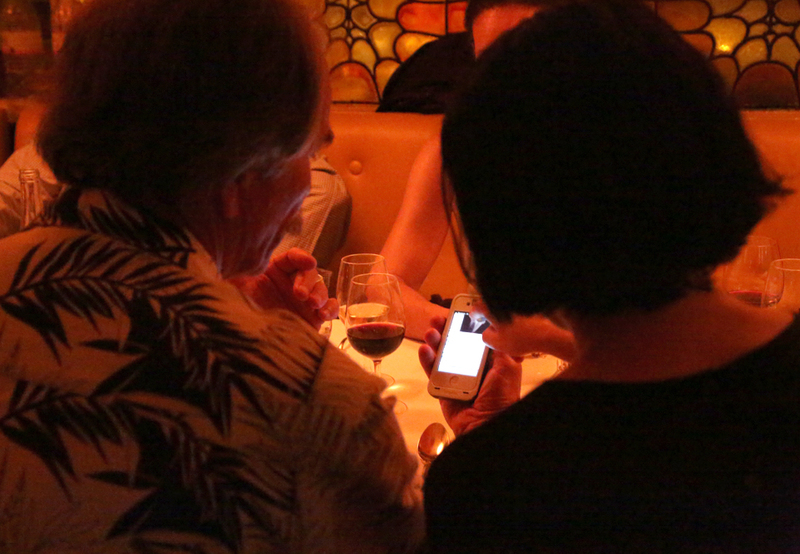 Thanks to smartphone technology, the artists were able to share images while they talked about their work. In this photo, Rachel is showing some of her work to Fanch Ledan. Agam showed us some of his interactive digital work – also on his smartphone. Very large renditions of the pieces were recently part of an exhibit in Tiawan. 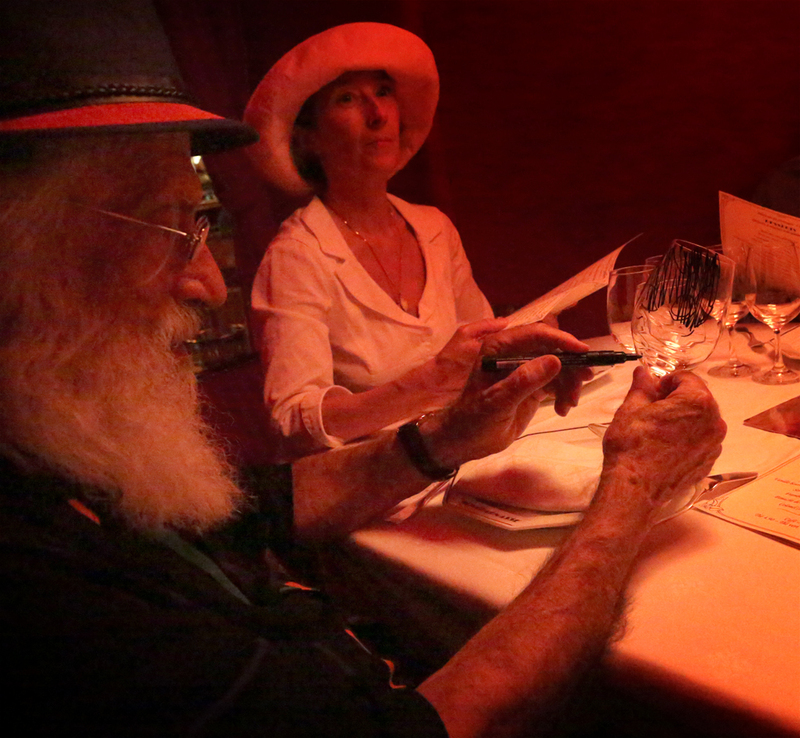 He also was moved to whimsically decorate a wine glass for one of our guests. 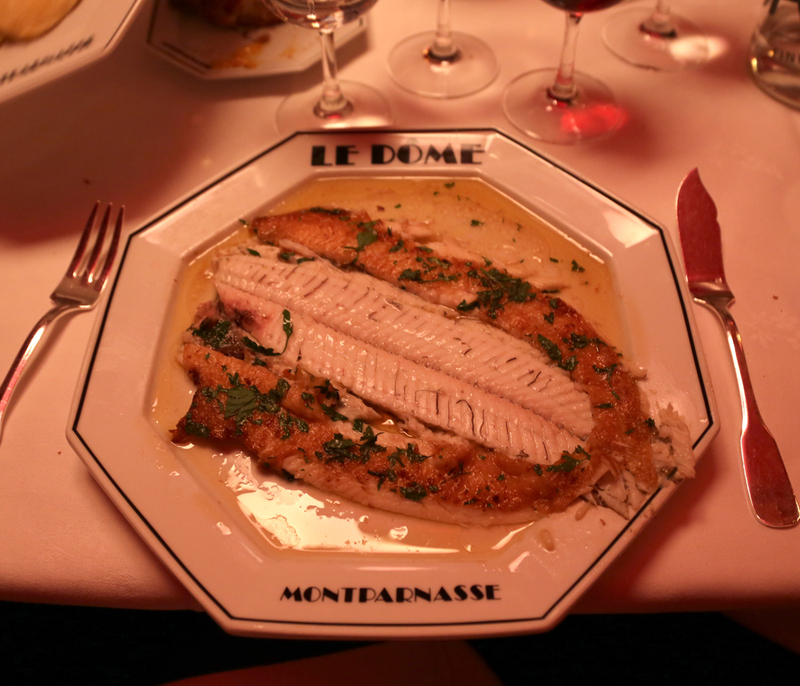 The menu at Le Dome is mostly seafood and very traditional French cuisine. Everyone was pleased with his or her meal, and the night was very quickly over. 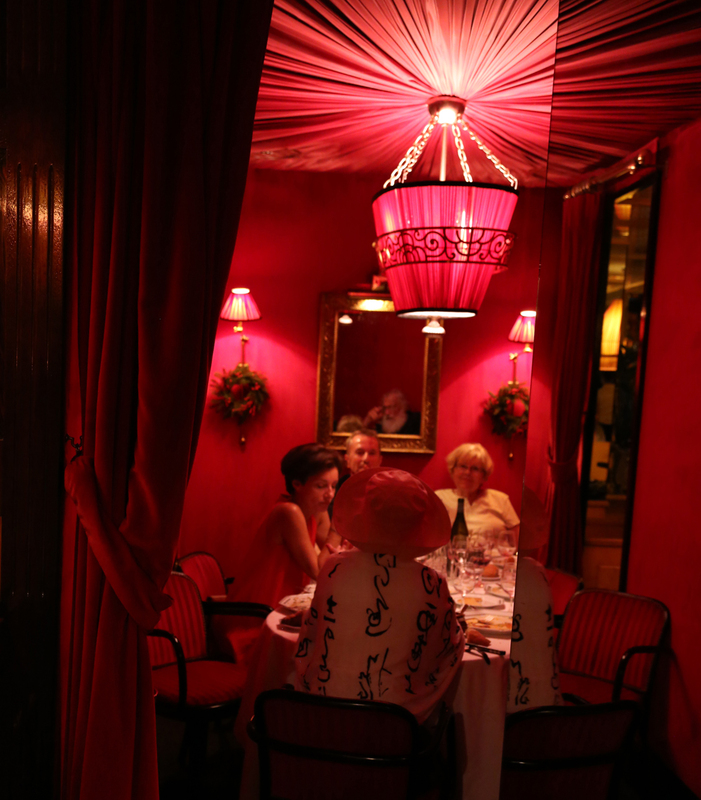 Above, Linda Le Kinff, Fanch Ledan and Christine and Jean-Claude Picot visit in the red velvet room. I may or may not admit to serenading the party with some old standards and a Beatles’ tune or two – but I will admit that I don’t take for granted this business and the many blessings it brings to me personally. I have the good fortune of doing business in beautiful places with some of the most talented, interesting and kind people in the art world, and for that, I am grateful.